The OMESTI Group has entered into an agreement with ViewQwest Holdings Sdn Bhd, part of the ViewQwest Group from Singapore, to collaborate in the network services and communications infrastructure space with a view to providing improved internet service for customers in Malaysia. 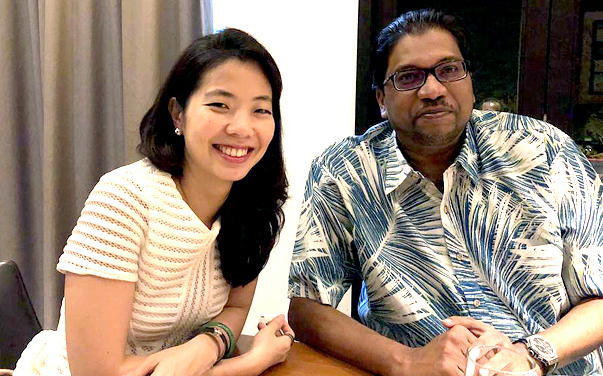 Ms Mah Xian-Zhen, Executive Director of OMESTI Berhad, said, “We are currently restructuring our network business and this opportunity to partner with ViewQwest provides a good fit for both our companies. In teaming up with ViewQwest, we hope to be able to provide superior personalised customer service and improved uptime.” Expected outcomes of the partnership also include ultra-high speed internet connectivity, 24 x 7 customer service and next-generation firewall protection. Fixed broadband internet services in Malaysia are currently lagging those of its neighbours and as such the new Malaysian Government has mandated that services must be enhanced by year end. “We are committed to improving the user experience for Malaysian customers by offering more stable bandwidth and better uptime features. We are confident this will be achievable with a solid backbone and the strong ISP sector experience of the ViewQwest organisation,” added Ms Mah. Following this partnership being established, former OMESTI subsidiary Fibre At Home City Networks Sdn Bhd has been restructured into this partnership arrangement, with all its operations now transferred across under the ViewQwest mantle. This move is directly aligned with the recent refocusing of the OMESTI businesses away from a number of IT-related loss-making ventures and back to its core capabilities which include digital court solutions and core registry solutions. “By finding the right partners for these ventures, our hope is that these businesses can grow to greater heights,” said Ms Mah. Established in Singapore, since 2001 as an investment holdings group, real estate company and Internet Service Provider (ISP), ViewQwest provides a unique offering of customised Internet and telecommunication solutions for businesses in Singapore and across Asia. It was the first company to commercialise various connectivity technologies in Singapore. A capability to deliver international service standards combines with reliable network performance, committed bandwidth and a strong emphasis on dedicated 24/7 responsive technical support. Business clientele currently includes Singapore Top 500 Small & Medium Enterprises (SMEs) and Fortune 500 companies.